We are especially grateful to Kath Baigent for this photo. Kath, who was born in 1921 came to Australia in 1928. 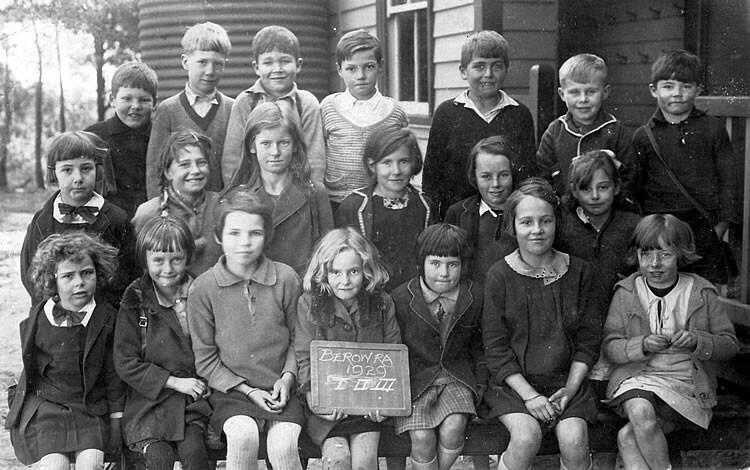 Here she is as the little Kathleen Heaney wearing her pinafore, on the far right of the front row in her long treasured school photo. You will notice that there are almost double the number of girls to boys in this composite group. It would appear to be later in the year than February! Do you recognize any of the other youngsters, perhaps a Foster and a Huett boy?